Refresher training is a vital part of ensuring site safety but so many companies are unsure of how often it should be carried out. Stuart Taylor of Mentor Training explains why it is necessary, what you need to know to comply with the law, and how investing in refresher training can actually save you money, as well as keeping your staff safe in the long term. Under the law, specifically PUWER 98, ensuring that your operators are fully trained is your responsibility as an employer. 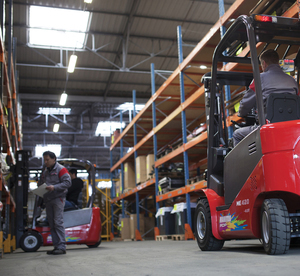 While forklift refresher training itself isn’t technically a legal requirement, under L117 (Approved Code of Practice for Rider-Operator Lift Trucks), it’s recommended that operators receive refresher training every three to five years. Though the recommended timescale is not a regulation in itself, be aware that L117, as with any Approved Code of Practice, has special legal status. L117 provides guidance which, if followed, will ensure that you comply with the law. If you are prosecuted for a Health & Safety breach and it’s proven that you didn’t follow the relevant provisions as specified in L117 (or demonstrate that you complied with the law in another way), you will be found at fault by the court and at risk of potential prosecution, fines or both. Every company must decide how often they need to provide training to ensure that operators keep their skills fresh, stay up to date with the latest guidance and legislation, and avoid complacency or slipping into bad habits. And the frequency will differ from company to company based on their unique processes and procedures. And just as each company’s needs are different, so are their workers’. Before you implement a rolling, regular schedule for lift truck refresher training and let this take care of itself, do remember that training must be approached on a case-by-case basis. Some workers may need their skills refreshed earlier than others. For example, if a driver’s working practices or environment have changed or if they’re only an occasional user. Similarly, it is good practice to bring refresher training forward if they have developed some potentially unsafe working behaviours or been involved in an accident or near miss. A simple risk assessment for your operation should highlight any factors that may affect the frequency of refresher training. For the safety of your workforce and the good of your business, always make sure you monitor your operators’ skill levels – delivering training when it’s required – rather than when it’s ‘due’. Aside from keeping their skills fresh, refresher training also reminds operators of the potential consequences of unsafe practice. In a role where constant repetition of tasks is likely and targets and bonuses are at stake, safety can slip down the list of priorities. But why? Because we calculate risk based on what has – or hasn’t – happened previously, even when we know we shouldn’t. When ‘nothing bad happened last time’, we become complacent. That’s when there’s a risk that dangerous practice can become the norm. And the consequences can be very serious indeed, not just for your staff but for your business. More than 100 individuals are seriously injured in forklift accidents each month. The result? Aside from the devastating effect on those directly involved, there’s sick leave, compensation, potential legal fees and fines, not to mention reduced morale among colleagues, which can impact productivity. Even bumps, scrapes and dropped loads add up. It’s estimated that for every £1 spent on forklift repair, between £5 and £20 of damage is caused elsewhere and racking maintenance alone can greatly eat into your profits. And let’s not overlook the cost of disruption, aisle closures, clean up and missed deadlines. Preventing unsafe practice from becoming ingrained in your drivers is one of the most important things you can do for them (as well as your business). Regular training is key, as it keeps them at their best… and that’s a fact. Study after study demonstrates that regularly trained operators are more productive (and profitable) than their untrained counterparts. By keeping your staff refreshed, you ensure your operations will stay safe, legal and profitable in the long term.